I'm a big fan of the Gaelic language (Gàidhlig) and at all efforts to promote it (and indeed Doric and Lallans!). Just found Fiona J. MacKenzie's Twitter page which has led me to a great page that she has created - an interactive map of Scotland with links to samples from some of her Gaelic songs. It's well worth exploring at www.fionamackenzie.org/Audio_Map.html - there's also further details on some of her albums on the site, and a link to a forum about her work. For those not in the know, Fiona is a brilliant Gaelic singer based in Dingwall, who has recorded with Arthur Cormack, amongst others. The town of Langholm in Dumfries and Galloway has celebrated its 250th Common Riding. The BBC has an online video report at http://news.bbc.co.uk/1/hi/scotland/8179044.stm. We are anxious to achieve the highest possible degree of accuracy with the transcribed census data, and efforts to ensure this has necessitated a short delay in releasing the next tranches. We now expect to be placing the first listed tranche online by late August, along with corrected data for previously published counties. The second listed tranche should be available at some stage around the middle of September. As before, this will be subject to our being satisfied that the data meets our required levels of accuracy. By end-September, we will be rebuilding the site to include full transcription of all of the data on the household forms for 1911, including religion, occupation, relationship to head of family, literacy status, marital status, county or country of origin, Irish language proficiency, specified illnesses, and child survival information. Just months after launching the fully indexed General Registers Office (GRO) England and Wales birth records, Ancestry.co.uk, in partnership with FreeBMD, has made the complete marriage records for England and Wales, 1837 to 2005 available and fully searchable online for the first time. The 64 million GRO marriage indexes now available on Ancestry.co.uk are composed of two separate collections. The first is the 1837 to 1915 marriage index, which was transcribed by FreeBMD, a group of independent volunteers dedicated to transcribing civil registration birth marriage and death records for England and Wales. The second is the 1916 to 2005 marriage index, which has been transcribed by Ancestry.co.uk. Ancestry.co.uk and FreeBMD are currently working to fully index the GRO death indexes. When complete, more than 250 million individual birth, marriage and death (BMD) records will be fully searchable – only on Ancestry.co.uk. As ‘core’ record sets for all family historians, this major enhancement to Ancestry.co.uk’s BMD collection will be of significance to all UK family history researchers. Ancestry.co.uk Managing Director, Olivier Van Calster comments: “Birth, marriage and death records are among the most important of all historical documents and by making them fully searchable, family historians around the world will now be able to discover even more of their ancestors, and much faster. The Scotsman newspaper archive at http://archive.scotsman.com currently has a half price subscription offer available until the end of July for its various subscription pacakages. A 24 hour pass will cost just £3.97 (normally £7.95), with various other subscription packages also available for longer periods. The recent proposals announced by the National Archives at Kew to reduce costs (see Major Changes Proposed at National Archives) are being challenged by a new campaign entitled Action4Archives, led by medieval historian and broadcaster Dr. Nick Barratt. The campaign has issued a detailed response to the proposals, challenging and refuting many of TNA's claims - this can be read at the following link: A4A Statement. For some time I have been gathering material for a website entitled The Ruhleben Story, detailing the names of almost 2000 British civilian POWs interned in Germany during the First World War. Many people have sent pictures to me for the project, for which I am eternally grateful - as something of a payback, the following is a short vid that I will be placing on the website at http://ruhleben.tripod.com/ - thanks to all who have contributed so far! UPDATE: The video is now available on the online demand section of the ScotFamTree forum's online television station, the Scottish Family Tree Channel. A quick plug for a newspaper that helped me many years ago when living in Bristol, which I came across at the Gathering! The Scottish Banner, aka A' Bhratach Albannach, is an internationally sold newspaper in existence from 1976 dealing with all things Scottish. When in Bristol I used it to practice reading articles in Scottish Gaelic, which I was learning at the time - sadly the newspaper apparently no longer carries articles in Gaelic, but is still a fantastic resouirce for Scottish ex-pats living around the world who want to keep in touch with developments here in Scotland. Each month the Scottish Banner accesses a large number of individuals, pipe band members, society and clan members, history and genealogy groups and more; all with a direct interest in Scottish products and information. The Scottish Banner is available by home subscription, at newsagents, Scottish shops, at highland games and special events and various other outlets depending on your location. The website also has recent sample issues which can be read in PDF format. The next annual lecture in honour of the late Angus ‘Ease’ Macleod will be given on Thursday 22 October in Gravir, South Lochs, Lewis, by the Rt Hon Charles Kennedy MP. The title of the lecture will be Crofting and a European Future and Mr Kennedy will look at current and anticipated developments for crofting in the context of wider political and policy changes within the EU. Charles Kennedy was born in Inverness in 1959 and was educated at Lochaber High School and Glasgow University. He has been a Highland MP since 1983, his present constituency being Ross, Skye and Lochaber, in which capacity he has always taken a close interest in crofting and rural development issues. He was leader of the Liberal Democrat party in the UK from 1999 to 2006, and is currently President of the European Movement in Britain and Rector of Glasgow University. For further details of this year’s Angus Macleod memorial lecture on 22 October, and the Angus Macleod Archive, see www.theislandsbooktrust.com or phone 01851 880737 or 01851 880365. Following two and half weeks in the wilderness following the abrupt disappearance of its previous host platform, the TalkingScot forum is now back online at www.talkingscot.com. Congratulations to Andrew Paterson for his efforts in bringing the site back. "With much hard work on our side, we are happy to say that we are back again. "There are some posts missing. The titles are there, but when you click on the title there are no words. I hope we can resolve that in the near future. "The Gallery is not back yet, so we are without pictures. That is on the "to do" list. The TalkingScot logo and the TalkingScot links will return to the top of the forum soon. " To coincide with the loan of the Gunnister Man artefacts from National Museums Scotland, the Shetland Museum and Archives is holding a conference to explore the mystery surrounding the Gunnister Man on the 18th and 19th September 2009. On 12th May 1951, two Shetlanders were cutting peat near Gunnister, Northmavine, when they came across the remains of a body buried in the peat. While the acidic conditions in the peat had ensured there was little left of the man other than some hair, fingernails and bone fragments, it kept his clothes and other items well-preserved. 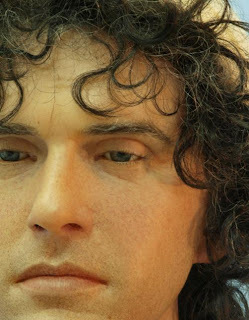 His death was dated to around 1700 and the artefacts have provided many clues about the life of the unidentified man. However, over 50 years after his discovery, mystery still surrounds the Gunnister Man: Who was he? How did he die? Why was he buried in a peat bog? The conference aims to explore these questions, illuminate the period in which he lived and provide evidence from similar burials elsewhere in Scotland. New information about the artefacts, which was discovered while carrying out research to create a full set of replicas for the exhibition, will also be presented. The Gunnister Man artefacts are being displayed in the Museum and Archives from 12th September to 1st November as part of a partnership agreement between Shetland Amenity Trust and National Museums Scotland. Preparations are also underway for a further series of special events and activities based around the Gunnister Man; details of these will be released later. A booking form for the conference is available from the Shetland Museum and Archives, tel. (01595) 695057 or e-mail: info@shetlandmuseumandarchives.org.uk. The closing date for bookings is 28th August however, as places are limited, early booking is essential. 11.40pm – Ewen Balfour, Shetland, Another Burial in Gunnister? 4:05pm - Ian Tait, Shetland Museum and Archives, The Reconstructed Implements: better than the originals? Google Books has digitised the family history of a Nova Scotia man without his permission, and he is understandably not a happy bunny about it. The book ended up in the University of Wisconsin-Madison library which had signed an agreement with Google, and soon found itself online, but the copyright holder himself was not consulted. This means that Google has infringed his copyright. The internet giant is offering him $60 compensation, or the option to have the book removed from the website. The full story, which could have major implications for the website, can be found by clicking on this link to the San Francisco based Baynewser. Many people have been anxiously awaiting the next edition of the NBI and asking as to when it will appear. The NBI team cannot give a definite answer because a large quantity of new material arrived well after last year's deadline which has delayed production of the new edition. The small group of volunteers has therefore been concentrating on this extra work-load of data as well as the introduction of new software and other technical issues. It is anticipated that distribution should be possible in the late summer on DVD with the wonderful total number of entries submitted being over the 18 million mark. (To date only approximately 10 million appear on the findmypast.com site). Congratulations are due to all societies, groups and individuals for their outstanding efforts! As yet, pricing of the new edition and the cost of upgrades from NBI2 to NBI3, as well as ordering and distribution details, have not been determined but there will be announcements posted to societies, the general public, and on the Federation website, www.ffhs.org.uk as soon as possible. Visit the FFHS site for the full release. The August 2009 issue of Practical Family History is out with loads of useful content to help your research. Karen Foy visits the beach to look at our obsession with seaside holidays, Nick Barratt looks at tracing RAF ancestors online, Jayne Shrimpton looks at the humble men's suit, Robert Burlison looks at the iron and steel trades, Roy Stockdill looks at the Dade registers for Yorkshire, Tim Lovering explores colonial records, Steven Wade looks at the beginnings of the modern police force, Rose Malik examines community archives online and yours truly discusses fractured families, and why it can be a good idea to trace lost cousins. All for £3.75 - and there's ice cream on this issues cover, so definitely one to get you in the holiday mood! Issue 80 of Your Family Tree is now on sale, with the usual goodies inside. Margaret Ward shows you how to trace your female line, Stephen Thomas looks at researching West Indies based ancestors, Paul Blake looks at records of bankruptcy, Garry Walton meets the hangmen of Britain, and yours truly looks at records found in the parish chest. Other articles show you how to make your own podcast, how to research newspaper ancestors, including a special look at the British Library's 19th Century Newspaper Collection, there's a focus on Southampton, and plenty more. All for £4.99 at your local newsagent. Oh go on, you know you want to...! A useful blog that you might want to also bookmark (you have of course already bookmarked this one!) is Your Ancestors Free at www.yourancestorsfree.com, which posts links concerning free genealogical resources available online. Worth a look. Also at the Gathering, I caught up with Dee Williams, head of the Edinburgh based ScotlandsPeople Centre, who gave me an overview about some of the offerings at the centre, as well as an exclusive sneak preview of some further records to be added to both the ScotlandsPeople website and the centre later this year and next. Thanks to Dee for sparing a few minutes on what was a very busy day. By the way, I hope you'll appreciate the effort that went into getting an entire pipe band to play Flower of Scotland in the background as we recorded! (OK, not strictly down to me....!). Next up - an exclusive interview with the Duke of Rothesay himself, Prince Charles. At the Gathering event in Edinburgh yesterday I caught up with Discover my Past Scotland magazine's editor Hilary Bowman. Hilary kindly consented to a short interview for this blog, explaining about the magazine, which is produced by Brightsolid, the company behind the ScotlandsPeople site and FindmyPast, and details on how to obtain it - with some exclusive news for some of you Sassanachs out there with both Scottish and English roots! A big thanks to Hilary for her time! On Saturday 25th July, the Gathering commenced in Edinburgh, the first of two days of festivities celebrating Scottish culture, clan affiliation and all the things that make this country so enjoyable to be a part of! It wasn't a hooly, it was a hooly and a half - the following report will give a quick flavour of some of what I experienced, but believe me, you really had to be there! My wife, two boys and myself arrived just after 11.00am and found the queue - I hope the Guinness Book of Records was there, they'd have had a roaring trade today! The longest queue I've ever been in, but thankfully, the fastest moving queue I've ever been in - we were in it for maybe seven or eight minutes tops! Having gained entry we made our way to the main arena. Difficult to see quite what was happening if it had not been for the huge TV screen conveying the activities. We arrived just in time to see the Duke of Rothesay (Prince Charles) formally declare the event open, after which the festivities commenced in the main arena. Following this, we took the boys in to see the Highland dancing competition. They'd not seen this before and were absolutely delighted with it, so we stayed for a good twenty minutes to let them get an idea about it all! Now here's a weird thing. Both my eldest son and myself are huge Doctor Who fans, not just the new revived series, but the old series with the wobbly sets! Last night, we sat down and watched on DVD the very last story of the second Doctor, Patrick Troughton, which saw him depart the series in 1969 along with his two companions Jamie and Zoe, played by Frazer Hines and Wendy Padbury. So who did I bump into today? None other than Frazer Hines, who many will also remember as Joe Sugden from Emmerdale Farm! Frazer was there recording a Radio 4 documentary, and clearly having a whale of a time. One of many personal highlights in the day! Not sure which was the more intimidating - the Duke of Atholl's own private army or the Tartan Army! There was also plenty of music, with some of the best being a series of Gaelic 'puirt a beul' (mouth tunes) at the end of a set by Julie Fowlis. Direach sgoineil...! Inside the Scotland Lives Auditorium were several groups selling useful genealogical material, such as the Scottish Genealogy Society and publisher Birlinn, as well as many organisations offering hands on advice, including the ScotlandsPeople team and the National Archives of Scotland. Pictured below is GROS staff member Audrey Wyper, but also around were Duncan MacNiven, Registrar General, Paul Parr, Deputy Registrar General, and none other than Alistair Moffat, my former boss from Scottish Television almost a decade ago, who was there to give a talk on the Border Reivers. Also at the tent were Dee Williams from ScotlandsPeople and Hilary Bowman from Discover my Past Scotland magazine, and I managed to record a short video interview with each which I will put online in due course - both with some excusive revelations of things to come in the next few months! There were some interesting finds also. The new fifth version of "Tracing Your Scottish Ancestors - The Official Guide" was released today - I received a copy from the nice folks at Birlinn which will be reviewed in the next issue of DMPS - whilst the folks at the University of Dundee have now started a Postgraduate Certificate in Family and Local History by Distance Learning - see www.dundee.ac.uk/cais/certificate, or call 01382 385543. At the Clan Village, I stopped at a few of the tents to see what they had on some of the lines in my blood - Currie, MacFarlane and Chattan amongst them - and caught up with a bearded Graham MacDonnell, a fellow student at Strathclyde a couple of years ago, in full regalia at the MacDonald tent. As my mother was a Graham, I also had to catch up with An Greumach Mhor, James Graham, the 8th Duke of Montrose, who kindly managed to share some useful information as to the origin of the Northern Irish branch of the Grahams (we're thieves and vagabonds all from the Scottish Borders! ), as well as a branch of the Grahams found within my father's line from the Port of Menteith some moons ago. Finally towards the end of the day, I bumped into a good friend, Alisdair MacDonald, a fellow student on the postgraduate course I studied at Strathclyde from 2007-08. Needless to say, there was plenty of other happenings - Highland games, a story telling tent in which my two boys learned of Fionn MacCumhaill, and plenty of other goings on. The downside - I never got to the Talisker tent for a sample! We ended up leaving at 5.30, sadly unable to stay for the clan parade later that evening at 8.00pm. The Monreagh Manse Ulster Scots Heritage Centre website at http://monreaghheritagecentre.ie is temporarily offline, but should be up and running again by the end of next week. For more on the centre, see my earlier blog post Ulster Scots centre opens in Donegal. One of the commonest queries I get is "I can't find the birth of one of my ancestors in the OPRs at ScotlandsPeople - help!" There are many reaons why records can often not be found, not least of which being that the baptism may not have actually been registered! But a common cause of missing records lies in the fact that there are and were several Presbyterian denominations, not just the established Church of Scotland. It is only the established records that the General Register Office for Scotland holds, and hence only these records have been digitised and made available by ScotlandsPeople. http://scotlandsgreateststory.bravehost.com/scottishkirk.html. The article is followed with some further links, including to a chart that shows in more details the Kirk's dramatic political history! Canadian based Peter McNaughton, originally born in Comrie, Perthshire, and author of "Comrie in the Distance Fair", has released a fascinating new website entitled Highland Strathearn at www.highlandstrathearn.com. The site, which is still under construction, provides a detailed history on various aspects of life and history from Upper Strathearn in Perthshire, and when completed will contain over fifty chapters on topics such as the history of the Lawers estate, and the Wars of Independence, as well as in depths histories of the area's many key families and clans, such as the McGregors, Drummonds, Stewarts, McLarens, Neishes and Murrays. One of my ancestors was murdered in lower Strathearn about 150 years ago, and I've been having an interesting discussion with Peter about which end of Strathearn had the biggest rascals and vagabonds! There is not a more detailed site on the web for the area - well worth a visit. It's now been over a fortnight since the Talking Scot website went down, and the latest news is that the site, which was being rebuilt at www.talkingscot.co.uk, is now once again back at www.talkingscot.com, its original domain. Whilst the forum continues to remain temporarily offline, the Societies, Sources, Libraries, Registrar and Census pages are back up and running. In answer to a question about whether readers will have to re-register when the forum returns, the TSAG has confirmed on the Rootschat thread that they have adopted that this should not be necessary. The size of the database meant that it was not just a case of uploading the most recent backup and going on as if nothing had ever happened. The database has had to be split into many pieces of the various tables that make up the forum and uploaded individually. This is taking time, but the forum will be back as normal as soon as that is complete. We are taking this opportunity to upgrade to phpBB's latest forum software version and that too has its complications. We could not have stayed much longer with the old version as there was no longer any support for it from the www.phpBB.com and upgrading could become more difficult as the current version evolves away from the old style. Designed by an ex-student of the Glasgow School of Art who has been involved in many Mackintosh related projects. The designer wished to produce a design for the Year of Homecoming based on Mackintosh's tile motifs and this has been re-interpreted so that it can also be produced as a tartan. In particular, the design echoes Mackintosh's nine square motif. The tartan may only be woven with the authorisation of the designer, Charles Randak. Two new issues of Discover my Past Scotland out now! You know that feeling when you are waiting for a bus and then two come along? Well this month, Discover my Past Scotland magazine is releasing a tartan double whammy of Scottish content to get you in the Homecoming mood! First is a very special edition of the magazine produced to exclusively tie in with the Gathering event this weekend. Unlike all previous online editions, this is an edition with a difference, as it has been printed, to be exclusively sold at the event in Edinburgh at a cover price of £3.00 during the two days of festivities. But if you aren't planning on going along, fear not, the magazine is also available to those who have taken, or who intend to take, a subscription out to the magazine - in which case, it is free! In this special Gathering edition, Lord Jamie Sempill is interviewed about the inspiration behind the Gathering event, there's a look at the history of Highland Games, an interview with three competitors in the 2009 Deuchars World Highland Games Event, Anthony Adolph explains why it is worthwhile visiting the land of your ancestors, Kerry Muir looks at the history of Holyrood, location for the Gathering, Wendy Glass gets help from the Broons to explore our favourite national dishes, and yours truly gives you a beginner's guide to researching your Scottish roots at the ScotlandsPeople Centre. In addition, DMPS meets and greets three clan chiefs, John MacLeod of Raasay, Margaret Elliott of Raasay, and James McBain of McBain, whilst Rachel Bellarby goes in search of Clan Hannay. Meanwhile, back on the ranch, there is also the regular August edition of DMPS to get stuck into as well! In this issue, John Hannavy explores the history of Scotland's railways, Michelle Higgs explores the Poor Law and poorhouses, Ruth Symes looks at the 1861 Scottish census, Katie Howard takes a trip to Oban to see what resources are available to help with your family history, and Sue Wilkes picks up the pieces after Culloden. Yours truly provides all the latest Scottish news and product reviews, as well as an in depth guide to Glasgow's Mitchell Library, and all the usual favourites are also there, including the regular Q&As, Bygone Days and more. Both magazine are available for download as of today from the website at http://www.discovermypast.co.uk/. It's enough to make you come over all Runrig and Scottish like! If you are in the Edinburgh area this weekend, come and visit us at The Gathering, in the 'Scotland Lives' area. We’ll have a team of people dedicated to answering your questions about Scottish family history and the website itself. For more information on the event, including travel and ticket information, visit The Gathering's website. We hope to meet you there! To celebrate The Gathering, Discover My Past Scotland has produced a special souvenir issue of its online magazine, which is available free to anyone who takes out a subscription to the August Issue. Every issue is packed with special features and 'how-to' guides to connect you with your Scottish heritage. Have a look at our online preview of the latest edition to see what you've been missing out on or subscribe to the magazine to get your bonus free souvenir edition. In addition to ScotlandsPeople being at the Gathering, the event will also see the Discover my Past Scotland team selling copies of the limited print edition of the magazine mentioned in the above press release. More on that, and the regular issue, in another post shortly...! Northern Irish BMD certs to go online 2011? On the 14th January Steven Smyrl, CIGO Executive Liaison Officer, gave oral evidence before the Northern Ireland Assembly's Finance & Personnel Scrunity Committee in relation to the Civil Registration Bill 2008. Steven was joined in giving evidence by Robert Davison, former Hon. Secretary of the Association of Professional Genealogists in Ireland (APGI). The Bill will amend the Births and Deaths Registration (Northern Ireland) Order 1976 and thereby allow the General Register Office of Northern Ireland (GRONI) to modernise the delivery of this vital service. Clauses 13 & 22 of the Bill will allow the creation of an Internet-based access service to scanned images of the original register entries, which date back to 1845. Scanned images will be available on-line of all birth records compiled over 100 years ago; marriages over 75 years ago and deaths over 50 years ago. It is hoped that this service will begin within the next two years. So we're taking a prospective 2011 launch if all goes well. That leaves England and Wales, and a certain DOVE still to be tamed...! A big thanks to Sheena! I popped along to the first day of the International Genealogy Festival at the University of Strathclyde today, and managed to catch up with some of the vendors there, as well as some university friends helping out (hi to all, and sorry I missed you there Ali!). http://universityofglasgowlibrary.wordpress.com/ - well worth a visit. The archive has some great records, particularly on the business front, including for Glasgow shipping companies and other firms. The Recording Angels were there, sort of like Charlie's Angels in graveyards! Actually they are a great bunch, I last saw them in 2007 at the family history fair in Glenrothes, and they have some new monumental inscription publications just out, including new guides for Cockpen and Carrington in Midlothian. they concentrate on 13 parishes in Midlothian so worth checking their project out if you have ancestors from the area. At one point I bumped into Claire White, who interviewed me last year on BBC Radio Scotland's Digging up Your Roots programme, and managed to say a quick hello, and I also had a chance to have a good chat with BBC1 Scotland presenter and newsreader Sally Magnusson, who was also there for her own Radio 4 show. It's actually the first time I've met Sally, despite having worked at the Beeb in Glasgow in the past for 6 years, and she's a really nice down to Earth person. I recently reviewed her book "Iceland and the Hebrides - My Roots" for Discover my Past Scotland magazine, which was based on a talk that she gave to the Islands Books Trust. She told me she had been surprised when she had been told it was to be published, but I told her I thought it had been a good idea, as it is a good read! It is - and you can get it from the trust at www.theislandsbooktrust.com ! Also on the media front, Gavin Esler briefly passed me at one point, he was there to give a talk on his family history, and STV also had a crew there, one of whom I knew from my days there in the late 1990s. Ancestry.co.uk was also there, ably represented by Annabel, Simon and the rest of the publicity team. They have lots of goodies coming online soon, but I am certain I will be placed in the Tower of London if I reveal anything in advance - however, I can EXCLUSIVELY reveal that Ancestry is getting in on the genealogical confectionery market. Obviously impressed with the ScotlandsPeople chocolate bar (see further EXCLUSIVE coverage and photo at ScotlandsPeople provides new tool for brick wall research), Ancestry now has Ancestry mints in a nice wee white container. You can't buy them, you have to go to the fair to get your free supply. I managed to sneak away with two packs, but I think they're onto me... If you reach a brick wall and don't know where to turn, one of those wee mints will do the trick. Trust me! Surprisingly few family history societies were there - Glasgow and West of Scotland FHS was present, and Aberdeen and North East Scotland FHS was still due to arrive, though I am not sure if others will arrive over the next few days. Many other big vendors were there, including S. & N. Genealogy Supplies Ltd. ASGRA, ScotlandsPeople and the NAS were also present, as was the National Archives from Kew in the form of the ever radiant Audrey Collins, and all as busy as ever! Well worth popping in to have a look - further info on the event, which runs until Friday, can be found at the following link - International Genealogy Festival. I've resisted it for ages, but having just read Nick Barratt's post from a few days ago about nearly being assaulted at one of his talks (! ), I've finally been won over by Twitter! Whether it becomes a useful tool like the blog, or a vessel for verbal diarrhoea, time will tell! I've just been surfing some local blogs and came across another useful resource, this time from David and the team at the Scottish Military Research Group. The group has created a roll of honour in PDF format for all of those to have served in the armed forces in the First World War who came from the Commercial Bank of Scotland. The SMRG website can be found at www.spanglefish.com/ScottishMilitaryResearchGroup, and is a collaboration from the Scottish War Memorial Project and the Scottish War Graves Project. We're also expecting nearly 80,000 more records for the region, including those for Brechin Cathedral, to be added within the next two months or so and we'll bulletin you again to let you know as and when this happens. In other areas, we have more records due to come on line from both existing and new councils, cemeteries and crematoria in the near future. Make sure you visit www.deceasedonline.com regularly to check the latest records. We're delighted to announce that grave locations for nearly 30,000 burials can now be viewed and printed from cemetery maps. This means that for these burial records you can find the exact location of the grave (or lair). So far, these include all records for Alperton Cemetery in the London Borough of Brent, and approximately 25,000 records within Kirriemuir and Newmonthill cemeteries in the Scottish Angus region. When the maps are available for a burial, this is clearly indicated on the burial register summary. New maps are being added continually, so watch this space! Come and meet the Deceased Online team at two major up-coming family history conferences. We're sponsors and exhibitors at The Halsted Trust's Open the Door and Here Are the People conference at the East Midlands Conference Centre, Nottingham, 28 - 31 August and you can also see us on 12th September, at the National Family History Fair, Gateshead International Stadium. I've just been contacted by Brent Ropelato from the Top Ten Reviews website, with a link that may be of help to those contemplating the purchase of a family tree programme. It provides an onscreen comparison chart of some of the different functions within many of the genealogy software programmes on the market just now, such as FTM 2009, RootsMagic, Legacy, Family Historian etc. Well worth a look at http://genealogy-software-review.toptenreviews.com. I should add that the reviews are the company's assessment, and don't necessarily reflect my own opinions! I think that Family Historian 4 is a better programme than FTM 2009, for example, and I would imagine these are American editions of the programmes being evaluated. However, it is packed with screengrabs, promotional vids for the programmes and more, so a neat one stop shop. The September issue of Family History Monthly (issue 173) is now on sale, with a host of goodies inside. If you have a Northern Isles connection, Keith Gregson has the ultimate guide to researching your Orcadian roots. Nicola Lisle looks at the history of journalists, Stephen Thomas looks at the Chartists, and Jeremy Palmer looks at parish registers. On the archives front, Keith Gregson visits the Merseyside Maritime Museum and Claire Gibson looks at the Army Children Archive. All the regular columns and treats are also presented, and yours truly gets in on the act with a detailed look at how the Gazette newspapers (Edinburgh, Londona and Belfast) can help with your tree in ways that no other newspaper can. Good God, it's good! And all for the stonkingly insane price of £3.75 of her Majesty's finest - and the cover disc comes with a 30 day trial version of Family Historian 4, the best family tree software around in town just now. Get 'em while they're hot...! The National Archives bookshop at Kew is having a summer sale for some of its stock. Most of the books concern English subject matter but a couple of gems might be of interest to those further afield. Anthony Adolph's "Tracing Your Irish Ancestors" is going for £5.99 (reduced from £17.99), and a book on our graverobbing chums Burke and Hare, by Alanna Knight, is going for £2.99, (down from £7.99). Other titles include "British Inheritance - A Treasury of Historical Documents" by Elizabeth Hallam and Andrew Prestcott, "Medals" by William Spencer, and "Discover Your Family History" by Chris Mason. To see the list of all 32 books on promotion, visit the Bookshop. The offer ends on September 5th. 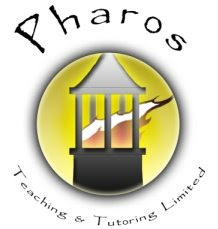 Just another quick heads up for the Scottish Research Online course which I will be teaching from August 24th for five weeks, through the Pharos Teaching and Tutoring Ltd site at www.pharostutors.com. Each lesson includes exercises and activities, and a minimum of 1 one-hour chat through a dedicated chat room on the site. The course will in essence show you not only how to use the websites to their best advantage, but crucially, it will also show you the optimum research strategies that can be employed when using these sites. There will also be a dedicated discussion forum for the course throughout where we can examine issues raised throughout and try to perhaps crack a problem nut or two! ...and many more. For more information, please visit the Pharos site. Chi sinn gu luath sibh - we'll see ye soon! Next Saturday is the Gathering, a massive two day clan event at Edinburgh where the chiefs of Scotland's clans will be meeting for a bit of a shindig. Whether you think of it as an elaborate fancy dress competition or a dignified assemblage of the true leaders of Scotland's ancient heritage, one thing for sure, it will be colourful...! Members of the Family History Society will guide you in your search. Do you have Ayrshire Ancestors? Were they from Loans, Dundonald or Troon? Do any of the surnames Dunlop, Dickie, Ure, Allason, McAdam, Hay or Vallance appear among your forebears? If you answered "yes" to any of these three questions it is possible that you are descended from the famous (infamous?) Smugglers of Ayrshire. Tom Barclay will recount their exploits in Troon Library on Friday, 14th August 2009 at 7.30pm. He will also explain how you can discover if you are related to them using original records. Your ancestors may not have been smugglers but perhaps they were engaged in mining, farming, railways, domestic service, lace making or seafaring before they left these parts. On the following day, Saturday, 15th August, from 10.00am to 5.00pm, again in Troon Library, volunteers from the Troon @ Ayrshire Family History Society will be glad to meet you and help you research your ROOTS. This is a "drop in day" and if you have an hour to spare that should be sufficient to begin the search for your own family history. A basic starter pack will be provided and you will be shown how to use ScotlandsPeople and other internet sources. Alternative non-internet/non-computer sources will also be on display. You could have many entries in your Pedigree Chart in a short space of time—and some surprises too! Less time available? You can still pick up a starter pack, and view the displays. Even if you are a family historian already, the members of the Troon Society always welcome an exchange of ideas so do come along. A range of books and CDs covering this area that the Society has published is on sale and may be of interest. Actor Brian Cox CBE is the fourth subject of the Famous Scots exhibition at the ScotlandsPeople Centre in Edinburgh. His exhibition will run from July 20th to September 11th, from 09.00-16.30, with special weekday opening son July 29th, August 20th and September 9th from 18.30-21.00. Brian's roots come from Dundee, and as a part of he display there will be a 1939 film showing life in Dundee prior to the war. More on the exhibtion can be found at www.scotlandspeoplehub.gov.uk/scotlands-people-centre/brian-cox.html. Its nearest rival, the return of BBC Two's Dragon's Den, managed 2.8m (12.5%). The series seven opener, featuring Peter Jones and Deborah Meaden, was down on last series' average of 3.44m (14.4%). As for the programme itself, I must admit I always get bored with the ideas of celebrities wanting to prove a connection to royalty, I just don't get the attraction, and it only occasionally proves to actually be the case (Boris Johnston, Matthew Pinsent etc). But when Davina got that out of the way and into the true story of her Windsor connection, it was quite a heartbreaker really, and proves the point that you may not always find what you wish for in your family history research. However, when they took the show to France, the programme set a new high bar for the programme. It's not often that I want to have someone else's ancestor in my tree! A great opener. If anything, it was perhaps marred only by the fact that family history research seems to no longer be the priority, just biographies of interesting ancestors linked to a famous celebrity. Still, definitely one for the all time top ten! For those who missed the show, you can see it again at the BBC iPlayer for a week after tx. I've just been doing some research into the 1918 Spanish Flu pandemic, as you do, when I came across this useful list for those with Orcadian ancestors. It is a list of all casualties of the pandemic amongst Orkney servicemen from 1918-1920. The list can be found at www.rbls-kirkwall.org.uk/memorials/ww1BCasualties/SpanishFlu.doc , part of the Royal British Legion of Kirkwall's site. The main site at www.rbls-kirkwall.org.uk also hosts other links with memorial information from across Orkney - a real treaure chest of information, and a great effort compiled by Brian Budge and the many volunteers listed on the site who have contributed to the project. The "Names of the Soldiers Who Died in the Defence of the American Union - interred in the National Cemeteries" were recorded by the Quartermaster General's Office in 1866. In each case the original place of interment, the soldiers' name, rank, company, regiment, date of death, section of cemetery and the number of the grave are all detailed. In some instances the creed is provided together with a list simply referred to as "Unknowns"
Additional volumes refer to soldiers who died in prison pens - termed "Names of the Soldiers Who Died in the Defence of the American Union - Suffered martyrdom in the Prison Pens throughout the south". Again the soldiers name, rank, company, regiment, date and cause of death are provided. The Caithness Broch Centre (Ionad Bhroch Ghallaibh), based at Auckengill and previously known as the Northlands Viking centre, is to re-open on July 25th. The museum houses an innovative display that presents the prehistory of northern Caithness during the time of the brochs, a form of circular defensive fort built from stone. The displays will look at the nineteenth century community who first excavated the brochs, the original peoples who lived in the area two thousand years ago, and the community who now work and live with the brochs. 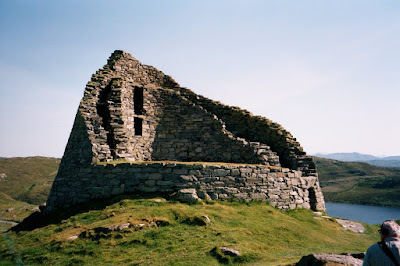 I've not yet been to the Caithness Broch Centre, but did have the pleasure of filming at Dun Carloway broch on the Isle of Lewis several years ago (pictured below), an amazing building! The one at Auckengill is in much better condition, well worth a visit! Here's a story from the National Post in Toronto concerning the petition of Peter Drummon-Murray to have the names cleared of various Jacobites attainted by an Act of Parliament following the Forty Five. Tory MSP Jamie McGrigor has tabled a motion calling on the Scottish Parliament to back a petition which demands the Westminster Parliament overturn the Acts of Attainder and clear the names of the families in question. For more on the story see Scotland plans to clear names 'attainted' during Jacobite rebellion. The new series of Who Do You Think You Are? starts tonight on BBC1 at 9.00pm, though you would love to know who the bright spark at the Beeb was who scheduled it against Dragon's Den on BBC2! 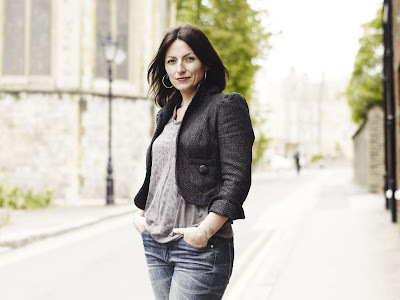 First up under the spotlight in this new six part run is television presenter Davina McCall, with both French ancestry and alleged British royal conections. I mentioned a couple of days ago that series 4 of WDYTYA is due out on DVD (see Who Do You Think You are - series 4 on DVD). Who Do You Think You Are magazine is offering this new series for free to new subscribers (UK Direct Debit payers only) - see www.bbcwhodoyouthinkyouaremagazine.com. 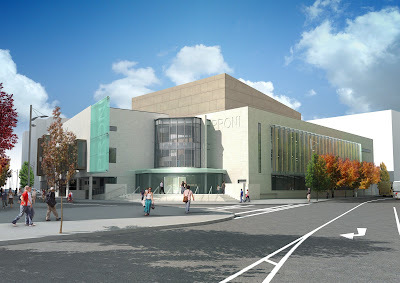 PRONI will be closed to the public for THREE WEEKS from 23 November - 11 December 2009 inclusive. This closure is to allow staff to undertake vital preparation work ahead of our move to our new building in Titanic Quarter, Belfast. Please note these dates if you are planning a visit. A press release on the new site is available at www.proni.gov.uk/news_details.htm?newsRef=983. Two new websites from Alex Airlie may be of interest to those looking for old images from around Scotland, and particularly for all you Weegies out there! The first is for those with family from across Scotland. The Vintage Scottish Images website at www.vintagescottishimages.org.uk contains many old postcards and images, primarily from Glasgow, wth a great deal of historical information and comment on the city's history, including fascinating topics such as the Empire Exhibition of 1938. The site also contains pictures from other counties, currently hosting images from Aberdeenshire and Ayrshire for starters, and there is plenty more to come. The site is still under construction, but this is going to be a good companion site to the Virtual Mitchell website at www.mitchelllibrary.org, though with the added bonus of some history alongside the images! The second site is Glasgow - The Second City of the Empire, located at http://secondcityoftheempire.moonfruit.com, again on similar lines, though concentrating exclusively on Glasgow. Described as a pictorial meander through our great city, each image from Glasgow's history is annotated with a brief bit of background, and will therefore be a very usefl site to those trying to locate places within the city which may have impacted on their family story in some way. Members of the worldwide Clan Currie Society taking part in the Homecoming Scotland Gathering event in Edinburgh this summer (25/26 July) will celebrate the Homecoming and the 50th anniversary of their Society in a unique way - with a new pipe tune specifically commissioned for the occasion! The march, which commemorates the Highland Review of 1822 for which the tartan was designed and first worn, was composed for the Society by award-winning piper Stuart Samson MBE. Hopefully I'll be able to catch up with these guys - my Bridgeton born gran was a Currie, whose family originally came from Magherafelt in Northern Ireland! More info on The Gathering 2009 at www.clangathering.org. In the latest update from the site, the event has just announced that the Noisettes and Jim Diamond will unfortunately not be able to attend due to unforeseen circumstances. And another thing - the ScotFamTree AGM ! Talking Scot forum closes down? Hello from the Scotland's Greatest Story service!